Colorful and choice, this is a striking specimen. 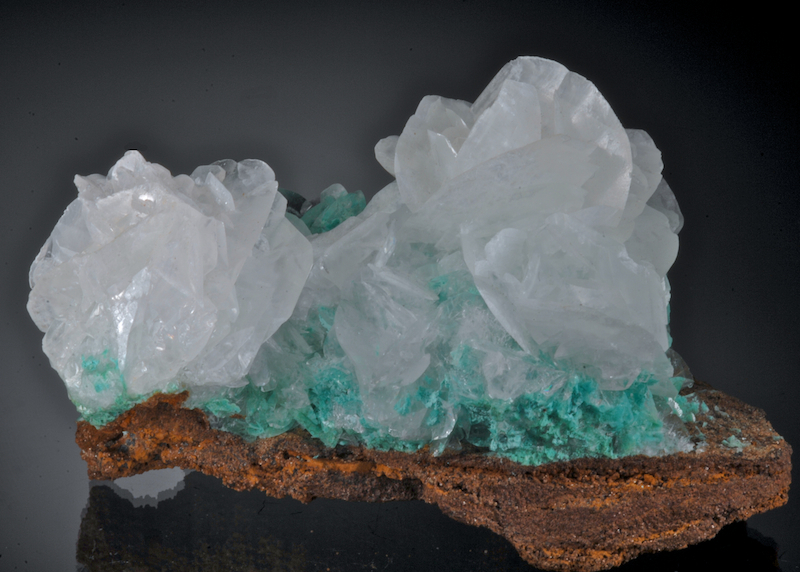 Velvety Rosasite on a gossan matrix is decorated with bladed Calcite crystals some of which form Rose like structures. 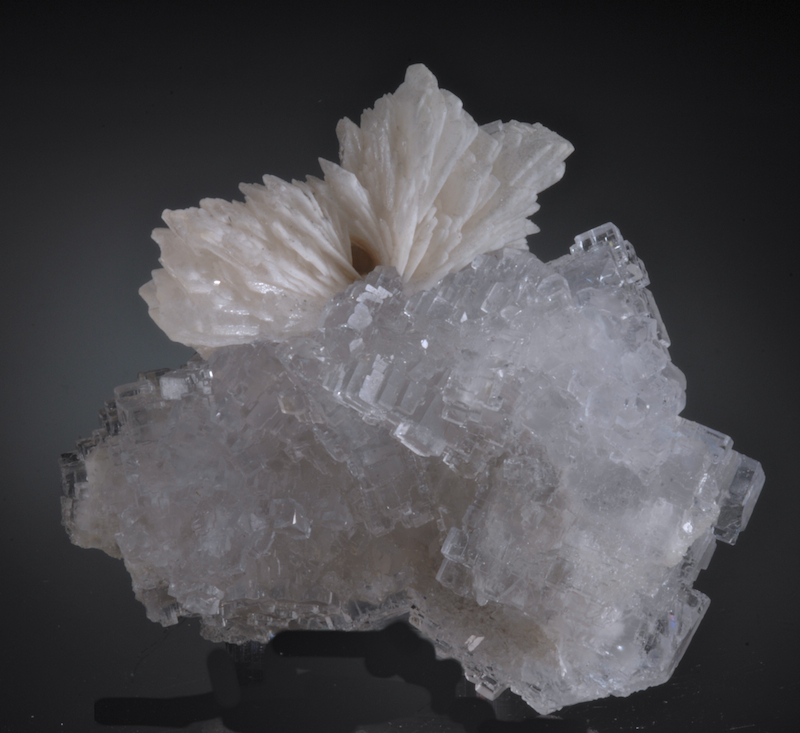 The Calcite range from glass clear when small to milky whitein the larger blades. Several are twinned and the whole composition is very fine. The condition is excellent for such a delicate piece, there is a single cleave and very minor chips to be found on a careful exam but in a normal display nothing is noticeable. This is the best example of this find and habit I have seen, from 2013. The Calcites are mostly thin flattened rhombs or flattened hexagons with sharp, transparent or translucent edges. Far better in person. 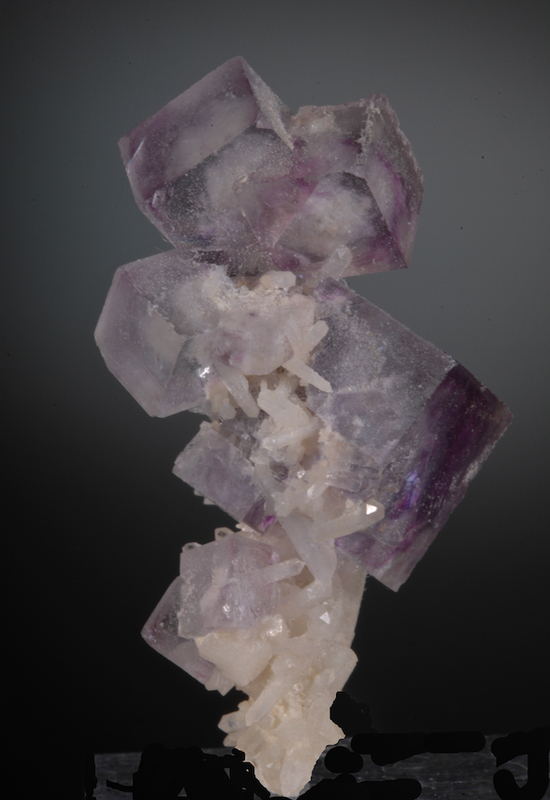 A fine and esthetic cluster of zoned Fluorite cubes in a delicate array. Minimal matrix, the cubes are very well separated and freely formed. Some faces show a light frosting others are more transparent and inside the cubes are swirls of deep purple with many inclusions of micro quartz prisms. With good magnification small movable bubbles are noted and the interior landscape is impressive too. Overall in outstanding condition damage wise, the corners and edges show some stepped growth but no damage. Several angles for display work well and have a quite treelike form. 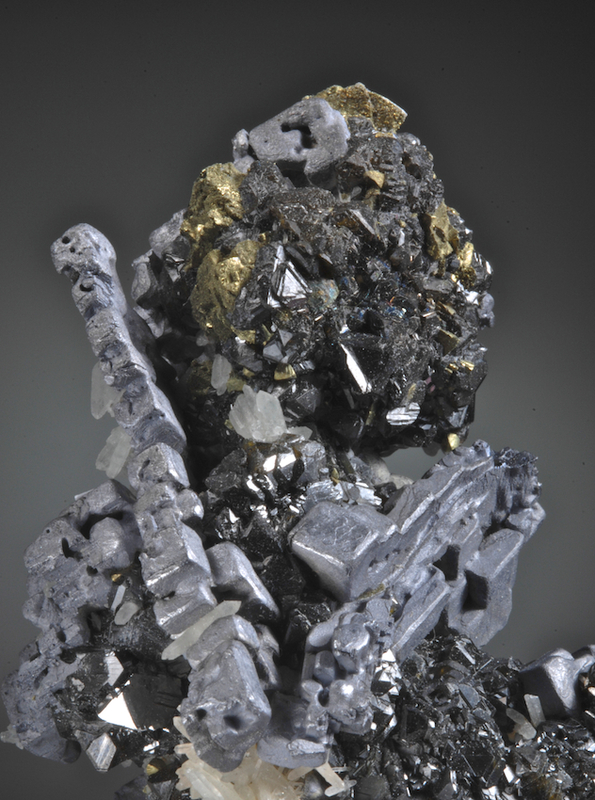 From mining in 2006 this style of specimen is no longer produced. 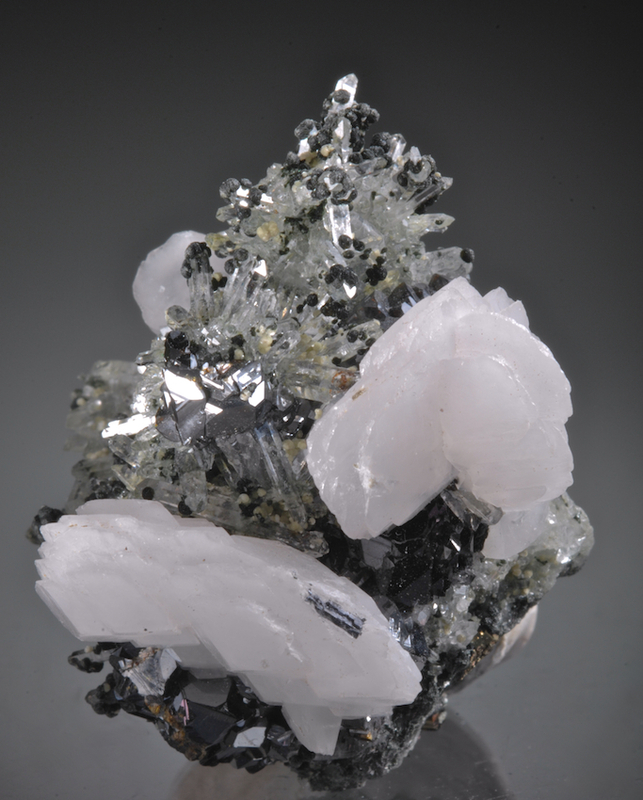 Sharp Fluorite with classic form of complexly stepped cubes (distinctive of some Asturias specimens) is the base for a spray of flat Barite crystals. Choice display specimen that is better in person, the Fluorite has a pale violet-blue color and a few purple phantoms. In fine condition damagewise, the delicate Barite blades are surprisingly all intact. Looks good from all sides this has no point of attachment it is fully crystallized on all faces. A remarkable specimen from all angles. A very fine, old Pyro having two generations and two colors of crystal growth. 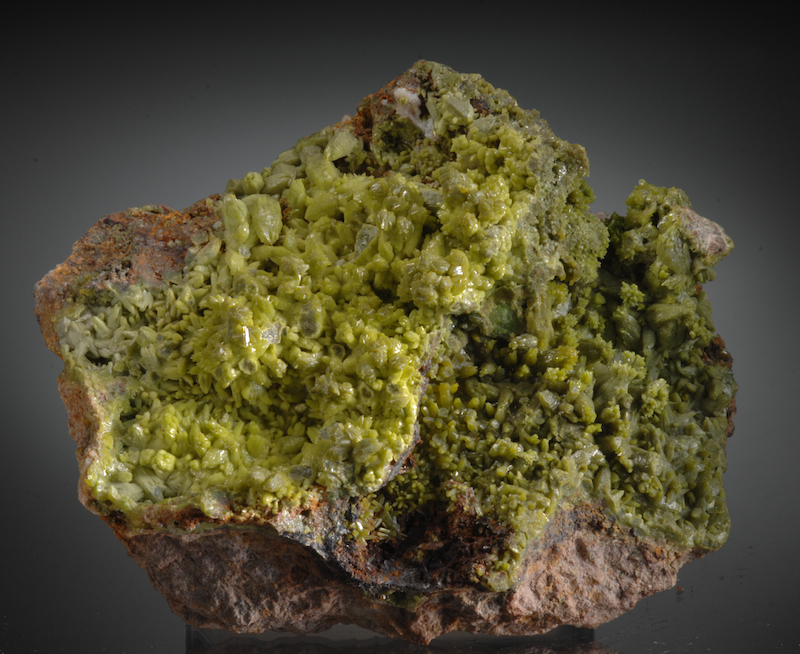 A significant specimen, Ex John Marshall Pyromorphite collection, collected prior to 1900. John obtained this in 1972 at the Boylston Massachusetts Library auction of a collection originally donated in 1900. It took him a lot of research and trips to the British museum to clarify the locality. This is described on his detailed collection card included with the specimen. 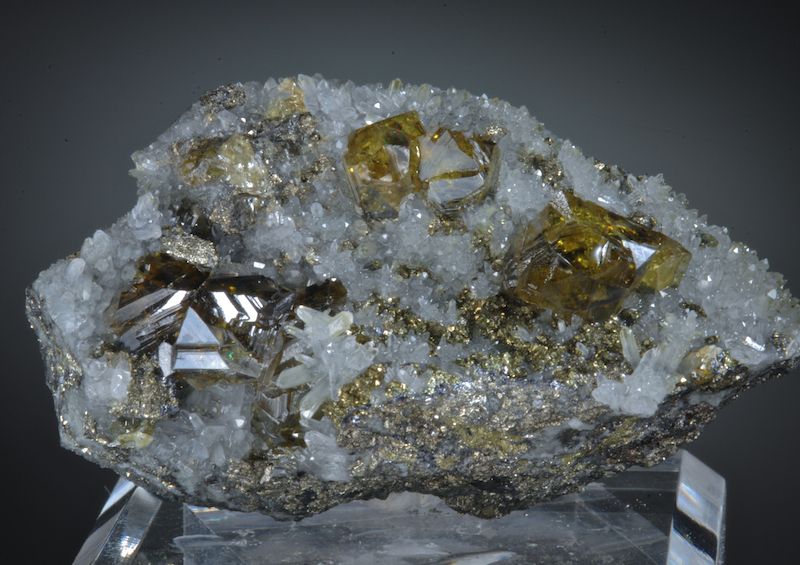 Nearly perfect, very little bruising as seen, most crystals are well defined and lustrous. A very choice example from a less well known classic locale. 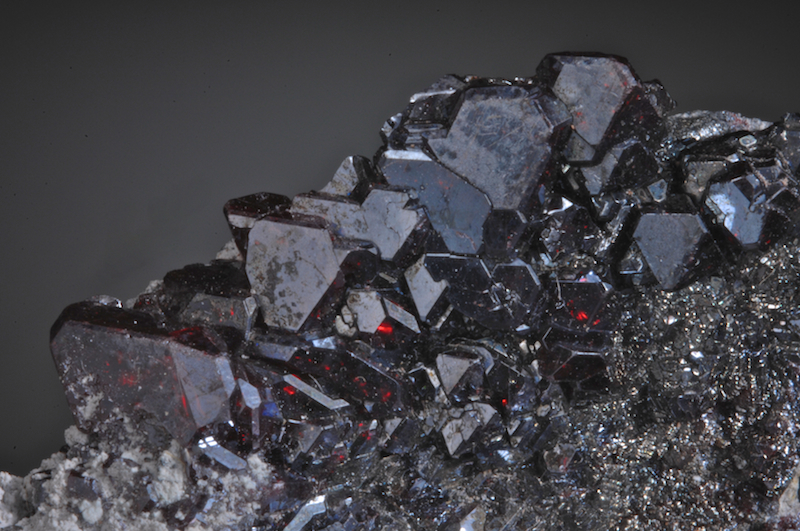 A well formed, bright stack of Cuprite crystals from the great Milpillas mine, better known for world class Azurites. This find of Cuprites created a big stir 2 years ago, but few were undamaged or had crystals much over a few millimeters. This piece is far better than average, in excellent condition damage wise and the crystals are stacked in an esthetic epitaxial arrangement. These octahedrons all will glow bright red with focused light passing through them, the photos here are only made with typical display lighting, so as not to be misleading. When these were first found the prices being charged were incredibly high, this is a lot more reasonable, yet a fine quality piece, by comparison a really good value.